Ian was born and raised in Omaha, NE. He graduated from the University of Nebraska Omaha with a Bachelor’s degree in Exercise Science. While at UNO, he completed his internship here with Going Vertical, continuing on as a part-time coach after completing his internship. After working for 18 months as a store manager and assistant area sales manager with GNC, Ian returned to school at the University of Nebraska Lincoln in January 2014 through May 2015 to complete extensive nutrition and dietetic coursework. 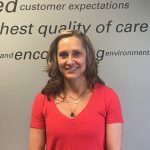 Ian has gathered years of experience in areas of youth strength and conditioning, general fitness, personal training, nutrition, weight loss and weight management. Recently, Ian has been working with youth athletes in all sports from ages 8-18 and, additionally, has experience in working with collegiate athletes. Outside of his work with youth athletes, for the past 2 years, Ian has been a vital part of creating curriculum, content and leading weekly classes for a weight loss and weight management program in Omaha. During that time frame, Ian continued his work as a personal trainer working with children and adults of all ages and ability levels. Ian attended Roncalli Catholic High School in Omaha where he participated all 4 years, including 3 years at the varsity level, in basketball earning All Omaha-area and 1 st team all-conference recognition. 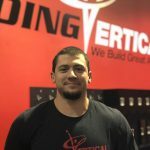 Ian is a Certified Strength and Conditioning Specialist (CSCS) through the National Strength and Conditioning Association (NSCA) of which he is a full-time member.